Medigap policies are used to help assist you in paying for your copayments, or deductibles of Medicare covered services. Medicare Supplement Insurance companines can only sell you a “standardized” Medigap policy identified by letters A, B, C, D, F, High-Deductible F, G, K, L, M and N.
The Medicare Open Enrollment Period is the six month period beginning on the first day of the month in which you are enrolled in Medicare Part B. 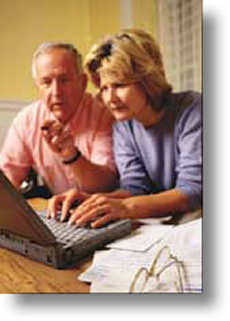 If you are on Medicare under age 65, you will also have a six month Open Enrollment Period when you reach age 65. This is the best time to purchase a Medicare supplement because an insurance company cannot turn you down and or charge more due to a health problem. Insurance companies can apply up to a six-month waiting period for pre-existing conditions to your medigap policy, but that can be eliminated or shorten if you have had prior credible coverage. A pre-existing condition is a condition for which medical advice was given or treatment was recommended by or received from a physician within six months before the effective date of coverage. How to read the Medigap chart below: If a check mark appears in the column, this means that the Medigap policy covers that benefit up to 100%. If a column lists a percentage, this means the Medigap policy covers that benefit at that percentage rate. If no percentage appears or if the column is blank, this means the Medigap policy doesn't cover that benefit. Note:The coverage of coinsurance only begins after the deductible has been satisfied. *Plan F also has a high deductible option. This high deductible plan pays the same benefit as Plan F after one has paid a calendar year $2,070 deductible. Benefits from a high deductible Plan F will not begin until out-of-pocket expenses exceed $2,070. Out-of-pocket expenses for this deductible are expenses that would ordinarily be paid by the policy/certificate. **After you meet your out-of-pocket yearly limit and your $140 yearly Part B deductible, the plan pays 100% of covered services for the rest of the calendar year. The Ahlbum Insurance Group is a proud member in good standing of the National Association of Medicare Supplement Advisors.